Chris Pearce gives us Tragedy Park, and if you have been following the news you do know amusement parks can be dangerous! When Finn and his friends decide to sneak on a closed ride they get more than they bargained for. The Black Vortex waterslide is supposed to be the biggest ride in the state, how could they resist giving it a go? Hmm, the word vortex should have been a hint! “Be careful what you wish for.” Wise words that aren’t always heeded. Sumiko Saulson’s story, Enclosures will give you pause the next time you covet that of another. Reginald’s grandfather tried to warn his grandson, but when the old man died Reginald was ready to move into grandpa’s estate. Ah, but at what price? Soon, he learns that things belonging to others aren’t always the way to happiness. I think we have all read stories where we think, how wonderful it be, to be transported into the story. Henny has found a way with the help of a little bird she calls Maybelle. Mere Joyce gives us a magical story to lose ourselves in, where reality can be skewed to fit our needs. Hah, we all know this feeling, recalling an old story and remembering it one way only to find out that isn’t it at all. Mark Allan Gunnells explores this very concept in The Pigmalion Pigs. Joe recalls fondly a story from his childhood, eager to share it with his daughter he orders the book. But… wait, this isn’t how the story was told, was it? Joe sets out on a quest to find the original book and prove to his wife that the story has been changed. Hmm… perhaps he should have left well enough alone. Kate Jonez offers up Effigy, a bit like the genie in a lamp premise. Although this is no genie and I’m not so sure the cost of a wish will be worth the trade-off. Down on her luck, Gwen is about to be evicted from her flat when see spots a Craigslist ad looking for a nanny. Little did she know that this nanny job entailed tending to something more than a child. So… there you go, a little dip in the lake. Altogether you will find 19 very different diverse tales, so dive in you are bound to find your next favorite HERE! 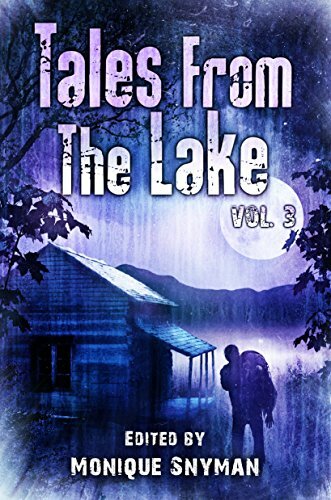 Crystal Lake once again has put together some delightful writers and created another collection well worth reading.